IT IS possible to have an outright winner in the first count of the vote in the August general elections if one of the presidential candidates picks the right running mate and is part of a credible political alliance, People’s Party president Mike Mulongoti says. 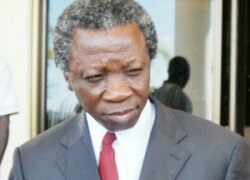 Mr Mulongoti said what was going to determine Zambia avoiding a second round of voting in the coming general elections were the popularity of the presidential running mates and the credibility of the alliances political parties were going to forge. He said it was not correct to predict that no political party could win the election in the first round of voting because the attitude of the voters and those in the political contest would determine the outcome. He said in an interview that the message the presidential candidates would be propagating to the electorate would also determine whether there would be a rerun after the first count of the vote. He stated that according to his analysis, it would be inaccurate for anyone to predict a stalemate in the coming elections because the presidential candidates did not have equal political abilities. He said it was possible for any of the presidential candidates to garner more than 50 percent plus 1 of the vote cast because Zambians did not want to be subjected to a second round of voting. He said Zambians should avoiding a second round of voting because it was expensive and that it would also put a lot of pressure on the presidential candidates and the electorate. “The determining factors in avoiding a rerun in the August general elections are two. The first determining factor is the popularity of presidential candidate with his or her running mate. If a running mate is popular and has a good following, it is possible that the presidential candidate can have 50 percent plus 1 of the vote in the first count. ‘‘The other determinant is the credibility of the alliances that will be formed in this election period. Some alliances will not have any effect on the outcome of the results because they will not inspire confidence in the electorate but if the alliances are going to attract the goodwill of the voters we will as well avoid a rerun; after all it is costly,” Mr Mulongoti said. And Mr Mulongoti said Zambians should not be surprised by the ‘‘migratory attitude’’ of politicians who were now jumping from one political party to another but should rather question their morality and integrity. Mr Mulongoti said those who were jumping ship should be closely scrutinised because many of them could be doing so not because they wanted to serve but because of the benefits that would accrue with a winning political party. He wondered why some politicians were eager to abandon their political parties after having worked hard to make their parties popular and attractive to the electorate. He urged Zambians to be cautious with politicians who were in the habit of defecting from one political party to another, saying that such leaders were not genuine and should not be trusted. “We are going to continue witnessing a lot of migrations by politicians in this election year but the most important question is to ask whether such defections are driven by integrity. It is surprising that some politicians had walked all the way with their parties and only to dump their parties just at the last minute. ‘‘You cannot eat and finish the food leaving the bones and then complain that the meal was bad. There is nothing wrong with people defecting from their political parties but this must be time for introspection and see whether these politicians mean well,” Mr Mulongoti said.